Today at work I had a little dress up in all the new Urban stock! 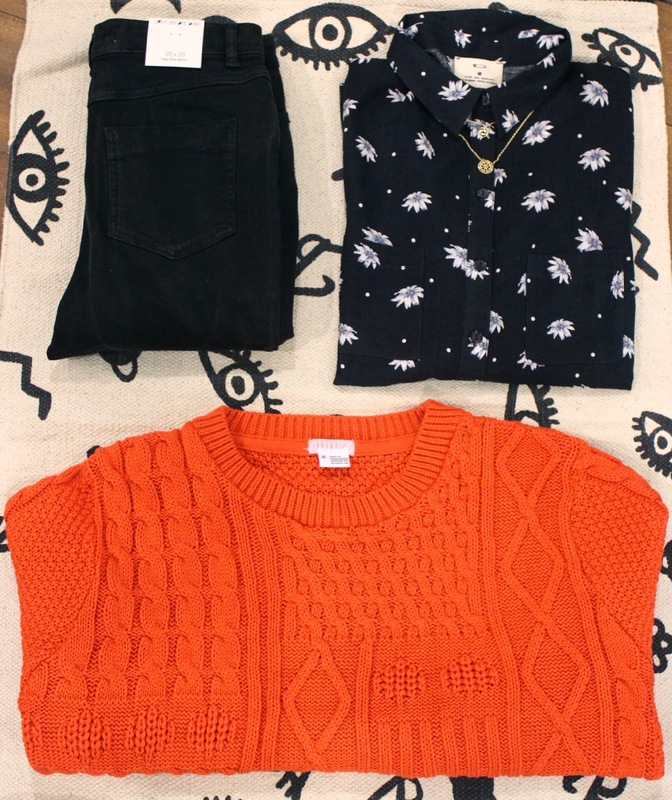 Featuring a tad of double denim, layered with a printed tee & a chunky cable knit. The flowing colours of blues, greys and creams give a Spring feel! Spring is coming!! Although Spring is not here just yet, here's some inspiration for how to wrap up for the next coming months! How adorable is this little jewellery box? I've featured 3 of my favourite dainty accessories we have in store. Daisies are a big hit for Urban SS14! Layered over this Pins & Needles Daisy print shirt! We have a new denim brand at our store in Covent Garden! Introducing 'Light Before Dark' - these are so damn comfy! I love these acid wash styles as seen above. All styles only £55 - Can't seem to see these on the website just yet! Loving your layered outfit look. Also that daisy print shirt is so cute!